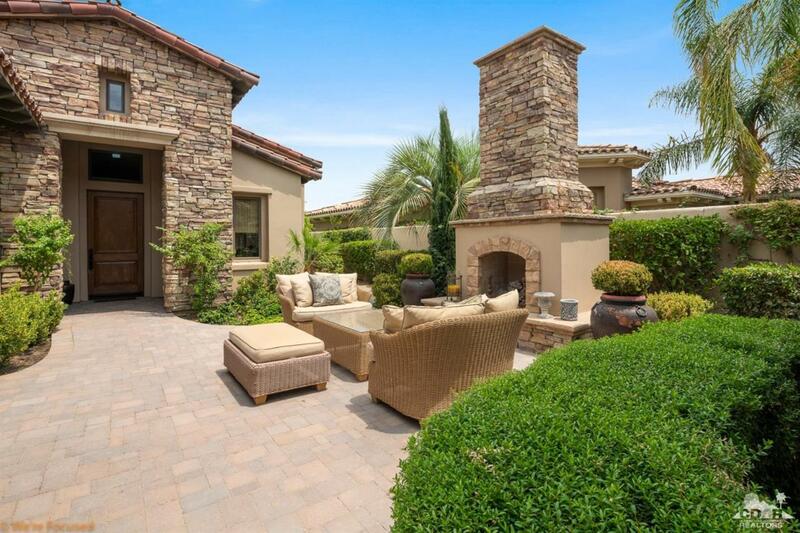 TOSCANA - Luxury community in the heart of Indian Wells. This picturesque Tuscan style, 3333 SF home has expansive views of the lush green Jack Nicklaus South Course. Ideally situated on a quiet cul-de-sac the home features 3 bedrooms, office/bedroom, 4.5 baths, custom guest house, high ceilings, open floor plan as well as many upgrades. The rear patio offers a custom pool/spa, outdoor BBQ and patio dining areas for relaxing and entertaining. An interior private courtyard features a covered veranda and outdoor fireplace for additional entertaining and convenient guest access. Furnished per inventory. Listing provided courtesy of Judith Hamilton of Hk Lane Real Estate.